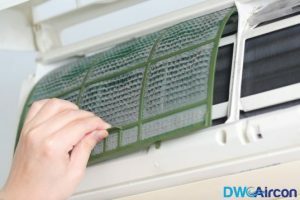 Air conditioner maintenance is a neglected task in many households. Most homeowners postpone maintenance until the unit stops running, starts to make strange noises and doesn’t work properly. According to experts, air conditioner maintenance is as important as periodic car care. Periodic maintenance will reduce the amount of money you spend on major, expensive repairs. If you wish to improve the air conditioner’s efficiency and lifetime, you must service it regularly. Aircon maintenance in Singapore doesn’t involve the replacement or repair of every part. Instead, there are few critical parts that need extra attention. In an air conditioner, the fins, coils, and filter require frequent care. These components are required to ensure that the unit functions efficiently and effectively throughout the year. 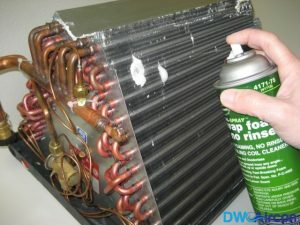 When these components are neglected, the overall performance of the air conditioner begins to drop. The talk about Aircon cleaning in Singapore is incomplete without discussing about the filters. It is important to keep the filters clean. Dirty, clogged filters block conventional air flow. As a result, the overall efficiency of the air conditioner drops. When airflow is blocked in the device, it bypasses the filters and carries excess dirt. Dirt is deposited on the evaporator coil. This reduces the coil’s ability to absorb heat. Dirty filters and clogged coils can reduce the air conditioner’s performance by 10 to 20 percent. Filters can be cleaned or replaced. There are several different types of filters. Each filter has a different level of efficiency. The air conditioner’s filters must be cleaned once/twice a month. If your home is in a dusty neighborhood, or if your air conditioner is used most of the time, the filter must be cleaned frequently. As mentioned previously, air conditioner coils collect dirt with time. Clean filters prevent dust and dirt from depositing on the coil. Still, the evaporator coil must be cleaned. If the condenser is fixed outside, it is likely to become extremely dirty. Thus, keep an eye on the fins to verify if the condenser coil is dirty or not. Finally, you must make sure the drain channels are clear. Clogged drains will have an impact on the aircon’s humidity controls and increases the risks of excess moisture getting on to the walls, carpet, and floor. In such a case, it is highly advised to look for an aircon specialist that can help with unclogging the drainage system of the aircon.